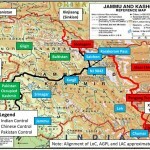 The Government of India has sought to play down the worrisome implications of China’s new policy on Kashmir favouring Pakistan, its growing strategic presence in the Gilgit-Baltistan area of Pakistan-Occupies Kashmir (POK), its disinclination to give up its claims to the Indian territory of Arunachal Pradesh and its strengthening of its military-related capabilities in the so-called Tibet Autonomous Region (TAR). The strengthening of its military-related capabilities in the TAR has been in the form of a further upgradation of its highway network, the construction of more airports ostensibly to meet civilian needs, the extension of the railway line from Lhasa towards the border with Nepal and Arunachal Pradesh with plans for the ultimate construction of a railway link-up with Nepal and military exercises involving various units of the People’s Liberation Army (PLA), including the Air Force and strategic artillery units. Among the objectives of these exercises are to fine-tune their capability to fight jointly against an adversary at high altitudes, strategic operations of the Air Force involving long-distance flights with mid-air refueling and the reliability of its strategic missiles at high altitudes. 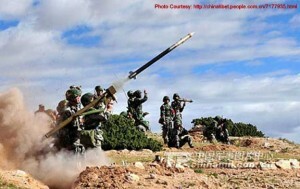 The Chinese assertiveness across the Sino-Indian border and their determination to enforce their territorial claims in Arunachal Pradesh have been evident for about two years now. Their virtual military alliance with Pakistan has been a new worrisome factor. 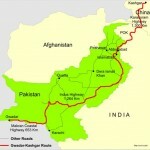 The PLA has been handling the implementation of the projects and exercises for strengthening the military-related capabilities in the TAR and the strategic presence in the Gilgit-Baltistan area by taking advantage of Pakistani needs in the wake of landslides and severe floods in the region twice this year. These projects and exercises will enable the PLA to pose a threat to the Indian Armed Forces from two directions—-from the North and the West. Even while thus enhancing the PLA’s military capabilities, the Chinese political leadership has sought to maintain a reassuring profile during its interactions with its Indian counterpart. This reassuring profile was evident in the recent cordial meeting on October 30,2010,between Dr.Manmohan Singh and Chinese Prime Minister Wen Jiabao in the margins of the ASEAN-sponsored East Asia summit at Hanoi, the announcement made after the meeting of the plans of Wen to visit New Delhi in December as part of the year-long celebrations of the 60th anniversary of the establishment of diplomatic relations between the two countries and the visit this week to New Delhi by Zhou Yongkang, a member of the Standing Committee of the Political Bureau of the CPC Central Committee and Secretary of the CPC Central Commission for Political and Legal Affairs, to attend a seminar on Sino-Indian relations, co-organized by the CPC and the ruling Indian National Congress as part of the 60th anniversary celebrations. 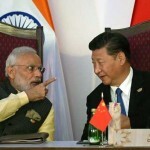 It quoted Dr.Manmohan Singh as saying that India and China would look for “practical and pragmatic” measures to solve border issues, calling on the two sides to ensure “peace and tranquillity” in the region.